1 Rinse the lettuce, remove tough stems, spin dry and pluck into smaller leaves as needed. Peel avocado, cut in half, remove the pit and cut the flesh into thin columns. Immediately sprinkle with lemon juice. With a peeler, slice the mountain cheese into thin slices. Crumble the feta cheese. 2 Cut the bread into cubes and roast in a pan with butter until golden brown. Mix vinegar with salt, pepper, sugar and olive oil. Gently mix in salad and avocado. 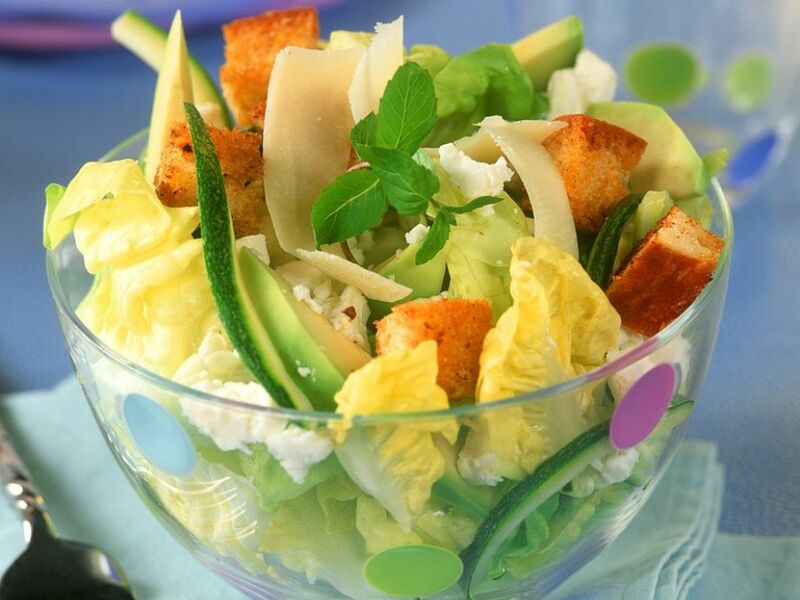 Place in bowls and serve sprinkled with cheese and croutons.